This verse impacted me a lot. I have found people of various religions who were deeply loving and kind, people with very high character of all religions, but I myself was from a minority religion and many people even in America hated me because of it. They accused me of things that happened thousands of years ago. This verse is very beautiful because it explains that one God, the one truth has descended into this world over the ages in many forms and with many names, but always for the same purpose – to remind us what we have forgotten, our own deep true spiritual nature. When we connect to that nature, we are transformed: arrogance is transformed into humility, greed into generosity, lust into love, complacency into compassion, and misery into true happiness. It is that transformation that the Lord teaches us when he comes into this world. So in this way, this verse teaches a very inclusive conception that one truth, the source of everything that exists, who people call God, people call Allah, people call Jehovah, people called Ram. 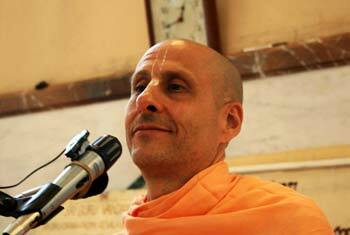 Name Krishna is very prominent within the Vedas or the scriptures and within the history of this country. Krishna appeared about 5000 years ago and spoke the Gita and performed beautiful pastimes of love. 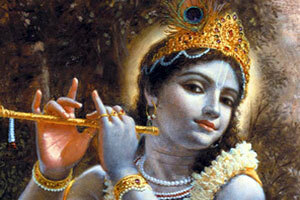 The name Krishna in Sanskrit means ‘all attractive’. 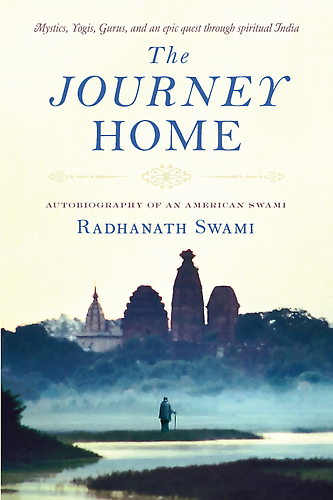 So, in my heart and the hearts of hundreds of millions of people in India, either because of their forefathers, or because of just the inspiration of their heart like myself, we find beauty, sweetness, and philosophical meaning in the past that has been given in Bhagavad-Gita spoken by Krishna. Should we pray for protection? How could we help solve the problem of terrorism on an individual level?